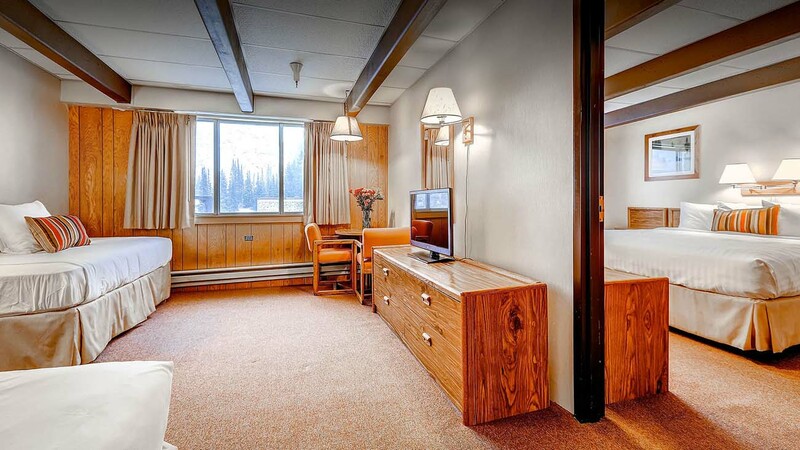 These suites are named after famed ski pioneer and close friend to the Shane Family, Junior Bounous. Like the Shane's, Junior was instrumental in making the ski industry what it is. While the Junior Bounous Suites are slightly smaller than the two large suites, they are just as cozy and help can alleviate stress by giving you a second room for the kids when you need some space. These suites are perfect for a small family. With approximately 458 square feet and two rooms, you'll have plenty of room to relax while still keeping an eye on the kids. The living area has two twin day beds and the bedroom has a king bed, and there is one full bathroom. Breakfast and dinner are included in the restaurant which makes family time so much more relaxing!